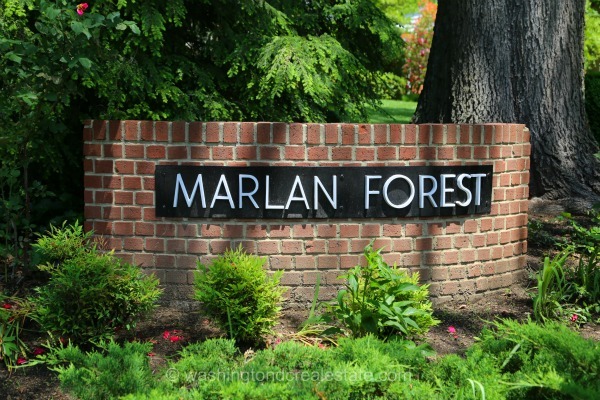 Marlan Forest is an established community of single-family homes located in Alexandria, VA. True to its name, Marlan Forest provides shade and seclusion for its neighboring properties, set back from the road on spacious lots against a lush backdrop of mature trees. Custom-built homes complement the grades of the neighborhood with generous outdoor living spaces, extended porches, and in some cases, double entry front doors. The area is close to Fort Hunt park as well as just minutes from the Dyke Marsh wildlife preserve. Despite its private, suburban feel, Marlan Forest is still conveniently located near main roads, public transit, and modern conveniences.